ISO 14731: 2013 Welding Coordination – Roles and Responsibilities - Eurotech Assessment And Certification Services Private Limited. Eurotech Assessment and Certification Services Pvt. Ltd. (EACS), is providing variety of services to includes Welder Training Service, Welder Qualification Certification, NDT/DT Training, CE Marking Certification Service, Electrical Testing Service, Social Audit Service and many more services from its Mohali (Near Chandigarh), Punjab -16055. 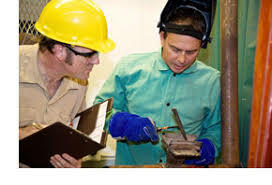 The organization is already conducting AWS CWI Training and Certification, the highly reputed welding courses under the aegis of American Welding Society (AWS) Certified Welding Inspector (CWI). Eurotech Assessment and Certification Services is one of the select organizations approved and empanelled for conducting the Welder Training services in India. Please visit AWS, Miami, USA website for our organisation Educational Company Member name on the website https://app. aws.org/membership/list.html?type=educational. 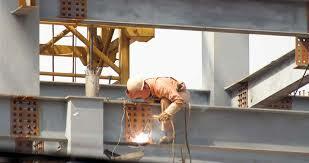 ISO 14731: 2013 Welding Coordination - Roles and Responsibilities is the standard used for the supervisors. Welding is a special process, which requires the coordination of welding operations in order to establish confidence in welding fabrication and reliable performance in service. The tasks and responsibilities of personnel involved in welding-related activities (e. g. planning, executing, supervising and inspection) should be clearly defined. This International Standard identifies the quality-related responsibilities and tasks included in the coordination of welding-related activities. In any manufacturing organization, welding coordination can be undertaken by one or a number of persons. Welding coordination requirements can be specified by a manufacturer, a contract or an application standard. Annex B shall be used as a guide to allocate quality-related tasks and responsibilities to welding coordination personnel. It may be supplemented for special application. Not all the items shall necessarily apply to all manufacturing organizations or quality system requirements, and a selection should be made as appropriate. For example, where there is no destructive testing or non-destructive testing, B.14 b) and c) do not apply. The tasks of the welding coordinator shall be selected from the applicable part of ISO 3834, in accordance with the criteria defined in ISO 3834-1 (see Annex B). Welding coordination is the sole responsibility of the manufacturer. The manufacturer shall appoint at least one responsible welding coordinator. QC Welding Course Fee: The course fee is Rs. 20,000/- plus GST @ 18% per candidate.